Employer Identification Number (EIN) via EIN Application Online is a must for anyone who is considering starting a business whether small scale or large scale. Therefore, every intending investor needs to understand what the EIN is and how to use it when it comes to preparation of their annual tax statement for the IRS and staying away from trouble with the government. Just as every US citizen comes equipped with a Social Security number, every business registered in the US has an Employer Identification Number. EIN is the corporate version of a social security number, and it’s issued to businesses that are required to provide tax statements to their tax attorneys. EIN application can be a difficult and time-consuming process especially if you don’t know where to start. It’s really a huge hassle for instance, on average, it takes a person more than an hour and a half just to go through how to apply for an EIN, fill out the form, and mail it in, never mind the time waiting on hold if you select to file by phone. Applying by mail takes 4-5 weeks. As an entrant into the market, all you want is to focus on how you can rise above your competition; you don’t have plenty of time pursuing other things apart from matters to do with establishing your customer base. That’s why you need a faster and more reliable way to complete your application and obtain the number. An attorney who is specialized in EIN Application Online can take the hassle out of obtaining this unique nine-digit number that is issued by the IRS to entities operating in the US for identification purposes. They know every detail of the process and can make sure that your application is approved, and Employer Identification Number issued within a few days. Through an experienced attorney, you can obtain the number fast but at a price. What if you are on a tight budget? Does it mean now that you have to go through the process of looking for this unique number issued by IRS alone and contend with all the processing issues? No, you don’t because nowadays you can complete your EIN application online and receive your Employer Identification Number much quicker. With professional assistance, you can get your employer identification number by the next business day either by phone, email or fax, and a follow-up IRS form from your consultant. It couldn’t be simpler than this! Although you can establish your business without an EIN, doing so limits the types of businesses you can run. For instance, you can’t form a partnership or corporation when your business lacks Employer Identification Number. So that means you won’t enjoy the benefits that come with these types of businesses including pass-through taxation, liability protection and more. Without an EIN, both a partnership and a corporation are out of question as far as business structure goes. Complete your EIN application online today to enjoy all the benefits that are available when it comes to a legally recognized organizational framework for conducting business (business structure). As a sole proprietor, your dream is to see your company grow from a sole proprietorship with a single worker into a big corporation with several branches across the nation or globe and many employees. Without an Employer Identification Number, it’s impossible for your dream to come true. The law doesn’t allow you to hire employees without an EIN Application Online from the IRS for reporting taxes and other documents. Your state also requires this unique business identification number when reporting information about your employees to the state. Get your EIN online today with the help of a professional. A crucial benefit of obtaining an Employer Identification Number for your business is that this will enable you to set up a business account and apply for credit. Banks do not allow business people to establish business accounts without this unique nine-digit number. Complete your EIN application online today with the help of a consultant and get your Employer Identification Number by the next business day so you can start to manage your business funds in a more efficient way. As a self-employed individual, you want to consider creating your own retirement plan as early as possible. You need to ensure that you have enough money to provide the kind of retirement lifestyle you envision by the time you retire. Only if you’ve developed an effective retirement plan to protect the assets you have toiled to acquire will your retirement be comfortable and enjoyable. Establishing a good retirement plan requires the use of an Employer Identification Number. Complete your EIN application online today and secure your retirement dreams. 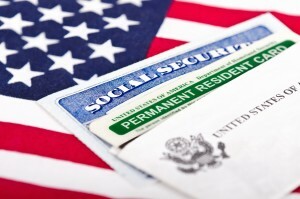 Compensation paid to Nonresident Alien workers are subject to special graduated withholding rates. An alien is someone who is neither a U.S. citizen nor U.S. national. Furthermore, this person does not hold a green card. If you have such employees in your company, you should withhold taxes on their compensations as required by the law. You can enjoy the advantage of having nonresident alien workers work for you but only if you have an Employer Identification Number. Although sometimes you might not know all the information required on the application, it’s important to fill out the form online and submit it rather than sending in paper or fax with missing information. This is because when IRS receives paper or faxed forms with information missing, more time is needed to process that application compared to an online application with the same issue, delaying the issuance of your Employer Identification Number. You can obtain your EIN much quicker if you go the online way. From a financial point of view, having an Employer Identification Number comes with numerous benefits. If you want to obtain it quicker and less painfully, you know the drill. Finish your EIN application online with us today. Our company offers processing of EIN and LLC, so you don’t have to hire an expensive attorney. Apply Online today at Federal Tax ID, they can assist with your state certification as well. Articles of Incorporation are required and finding an available business name is necessarily prior to filing for your EIN Number.